Anton Feoktistov, ein Anhänger von Spartak Moskau, wurde in der Nacht vor dem Auswärtsspiel in Samara erstochen. 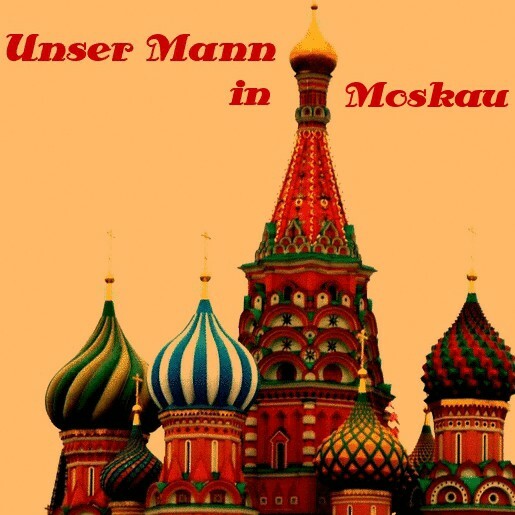 Die aktuelle Folge von Unser Mann in Moskau stellt den Fall dar. Russian football is in mourning after a fan was killed in a bar fight ahead of a Russian Premier League (RFPL) game in Samara on 9 August. Anton Feoktistov, a Spartak Moscow fan, died after receiving a knife wound to the neck sustained during an argument in a café in the city centre.The incident occurred prior to the fourth round of RFPL matches, which would see Spartak take on local side KrylyaSovietov. Police immediately held a suspect in the case, provisionally named as a Mr. T. Ishmanzhonov, of Samara. The suspect was arrested by police near the scene, having fledsoon after the fight took place, on the basis of video recordings made by the restaurant’s CCTV system and positive identification by two of the victim’s friends. The accused will be heldin custody for up to two month spending trial, as he is considered at risk of absconding. According to Elena Shkaeva of the local criminal investigations unit, the suspect has so far refused to provide testimony to the investigation, citing article 51 of the Russian Constitution, which states that nobody may be forced to testify against themselves in a criminal case. At the match, played later on 9 August, both sets of fans observed the call to remain silent for the opening twenty minutes. Fans of Spartak also unveiled a banner reading “We remember you, dearly departed Anton!” and only briefly interrupted their memorial to celebrate their team taking the lead in the match after five minutes. Spartak went on to win the fixture 2-0 and head coach, Dmitriy Alenichev, dedicated the victory to Feoktistov. Feoktistov leaves behind a wife, who is currently 8-months pregnant, as well as a 2-year-old child. Spartak’s official fan club has pledged to provide “comprehensive help and support” for the family. Meanwhile, fans of rival Moscow clubs Lokomotiv and Dynamo Moscow used the following weekend’s round of matches to express solidarity with Spartak fans, unveiling their own banners in tribute to Feoktistov at respective home games on 16 August. The 2010 fatal shooting of a Spartak fan, Yegor Sviridov, for which a native of the Kabardino-Balkaria Autonomous Republic, Aslan Cherkesov, received a 20-year sentence, led to widespread racial tension, demonstrations and unrest in Moscow, as well as other Russian cities, with the anger of certain groups directed at the city’s large diaspora from various autonomous republics in the Caucasus. Earlier the same year, another Spartak fan and Rossiya-2 TV assistant director, YuriyVolkov was stabbed during an encounter with three natives of Chechnya. Despite the death not being directly connected to a football game, Volkov’s loyalty to Spartak Moscow and connection to fan organisations led to his death being publicly mourned during several football matches.